Section RNA probes structural and regulatory aspects of all RNAs, both coding and non-coding, via experimental and computational approaches; and publishes cutting-edge basic, translational, and clinical research findings in RNA biology — in particular, those employing the latest technologies to identify RNA-based diagnostics and therapeutics. 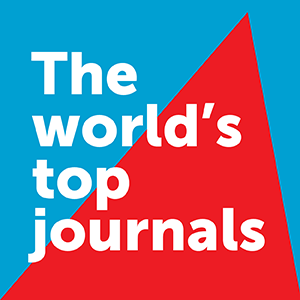 Serving as an international forum for rapid publication of cutting-edge basic, translational, and clinical research findings, section RNA crosses disciplines within the RNA family and probes structural and regulatory aspects of coding and non-coding RNA (ncRNAs), tRNAs, rRNAs, snoRNAs, microRNAs, siRNAs, piRNAs, pRNAs, tel-sRNAs, long ncRNAs, and more. In its biological aspect, it covers a range of subjects in all areas of research into RNA structure and function, including biogenesis; viral and body fluid RNA metabolism; RNA catalysis, RNA-binding proteins, RNA editing, and RNA splicing and translational control; as well as the role of RNAs in gene regulation and genome defense. In its chemical, computational, and advanced technological aspects, it covers RNA chemistry, epigenomics, and computational biology; innovative findings from next-generation sequencing and single-cell analysis; and detection of RNA with flow cytometry and other quantitative methodologies. RNA, in all its variety, provides command and control over cells, and the involvement of mutations or imbalances in the RNA repertoire in human diseases is increasingly appreciated. Thus, one of the key themes of section RNA is to serve as a strong platform for dissemination of translational and clinical research on RNA for its application at the patient’s bedside. The scope of the section thus covers RNA-based diagnostics and therapeutics, as well as any and all diseases in which RNA may be used for diagnosis, monitoring, and prognosis. In addition, topics concerning RNA stability and turnover, in vitro evolution, epigenetics, and biomedical studies of RNA are also welcomed. Our ultimate goal is to accelerate communication in the field, as well as to stimulate scientific and medical investigation into all aspects of RNA science.